Check out the video trailer for it! 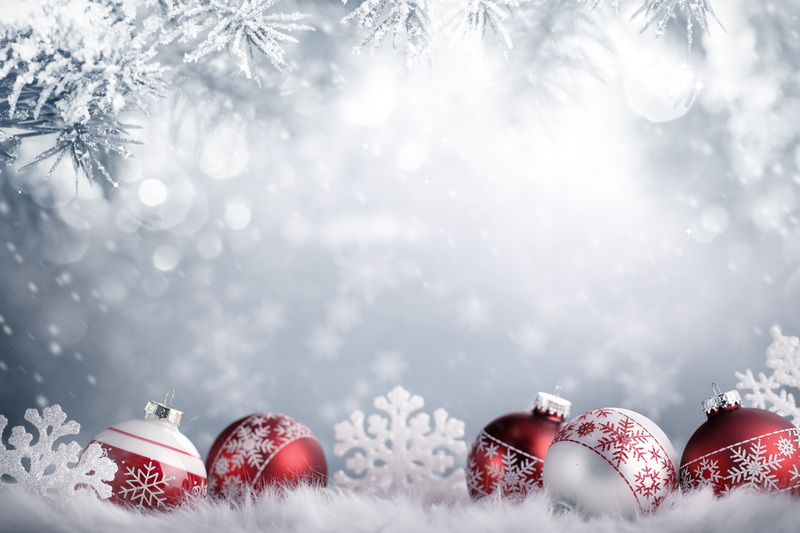 Hope you all have a wonderful and happy, fun filled holiday! I know I've been thin on the ground here this year thanks to family health issues, but that didn't stop me from working, just slowed it down a bit. And with that I would like to announce the release date for Sundered, the first Cambion novel. Debuting on Amazon on December 22nd 2015. Lexi feels blocked. She has for most of her life. Unable to let out the art inside her for months at a time, she drifts away from her childhood home waiting for something or someone to inspire her. Damian has spent centuries stuck with half a soul. Trapped as an incubus and bonded with a makeshift family of sundered, they hunt for each other to stay alive. He knows he's not long for this world, and his choice is to ask his bond siblings to shorten their lives to lengthen his own or to fade into nothingness. When Lexi and Damian meet, there's an instant connection. She's compelled to paint his portrait, and he feels relief from the unrelenting hunger of the fade. As Lexi is pulled into Damian's life, she realizes that being with him means accepting a world too fantastical to be real. When Damian's people seek out his unusual bond with Lexi, it could end both of their lives for good. Sundered is the first installment in a series of paranormal romance books featuring a unique take on the succubus/incubus mythology. If you like strong characters, heartfelt emotion, and sensual chemistry, then you'll love Siana Wineland's sizzling novel. The first four chapters are posted under the books drop down above if you would like to get a sneak peak of the book. And now I will leave you with this tranquil picture of the season. Hope you all have a happy holiday. Third Chapter of Flight is up on the site. Hi everyone. The third chapter of flight is now live for the Progenitor chronicles. I'll post the fourth chapter next week. I can't wait until the whole book goes out. I also realize I never officially announced the short story that got released in an anthology a few months ago. (I was waiting for the paper copy to go live as well). The story is called 'Opal and Crimson' and involves Silren the unicorn from the Equilibrium Saga and some of his brethren. 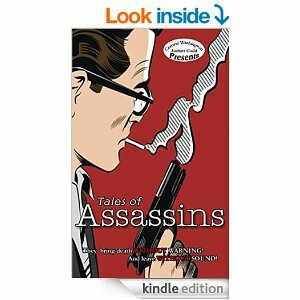 The book is called ASSASSINS, and each story is about... you guessed it! Assassins! You can figure out how unicorns fall into that. Or read the story, hehehe. Here's a link to the book on Amazon. Covers and layout are being worked on now, so end of February start of March it will finally see the light of day. Flight picks up right where Emergence left off. Here's the back cover copy. Scattered to the winds Nickolas’ small clan of Valkyries flee the destruction of the Facility, the only home they have known since their transformations. Changed from human to more than human by a virus that escaped its researchers the winged Valkyries don’t know where they fit in the world. Lost, they search for safety with the wild Valkyries, and a place to learn about their new emerging psychic talents. But the Facility doesn’t want to release their grip that easily. The web of lies Nickolas recently uncovered still holds power over all of them, and even in the apparent safety of Aurora, the rebel Valkyries’ mountain home, the threat of recovery hovers over their minds. As they learn and grow, the pieces of the Facility continue to make their moves on the game board. And Nickolas soon discovers that ignoring the game means they can back his piece into a corner. Hope everyone had a great holiday season? Ours was near perfect. I don&apos;t know what it is with going to bed, but it never fails that&apos;s when I always think of the blog and things I need to write in it. And I always tell myself I need to remember that, or I need to write that tomorrow. And of course I then get busy and don&apos;t get around to it. So this time I just grabbed my phone to do it. The most important thing to update is the current state of Flight. I know I&apos;d hoped to have it out end of summer but schedules didn&apos;t work. The good news is that it is in copy edit with the editor right now and will be back to me by the end of the month. Which means that it will be released by the end of February  Hopefully I&apos;ll have a cover to show soon. When Flight is released we&apos;ll also be releasing an updated version of Emergence. The reason for that is because we are changing the series name. I&apos;ve had too many issues with the word genesis. Either readers picking it up or choosing not to read it because of religious connotations. I don&apos;t want to mislead readers who would then be unhappy when they discover an urban fantasy. So the new series title is&apos;The Primogenitor Chronicles&apos; which is actually so much more accurate for the story. And holds no religious connotations. I have so many other things in the works right now that I wish I could talk about but the one I can mention at the moment is the anthology I have a short story in. I hadn&apos;t announced it because it&apos;s only out in ebook and I was waiting for the publisher to have the paper copy available. So for all of you who have missed Silren the unicorn here&apos;s your chance to get a brief glimpse into his life. The book is called Assassins. And is about, you guessed it, assassins. Hehe. I suspect the blog will get updates more frequently in the next few months since stuff is hopping at the moment. Starting with getting the first few chapters of Flight loaded onto the site. I&apos;ll get started on that soon. Perfect start to the holidays. Look at that view. I wish the picture did the scene justice. It just doesn&apos;t capture the depth of the pink and blues. I think it comes from the cold. We had a high of 24 degrees today. I know that&apos;s nothing for some of you. But for out here in the Pacific Northwest that&apos;s pretty darn cold. 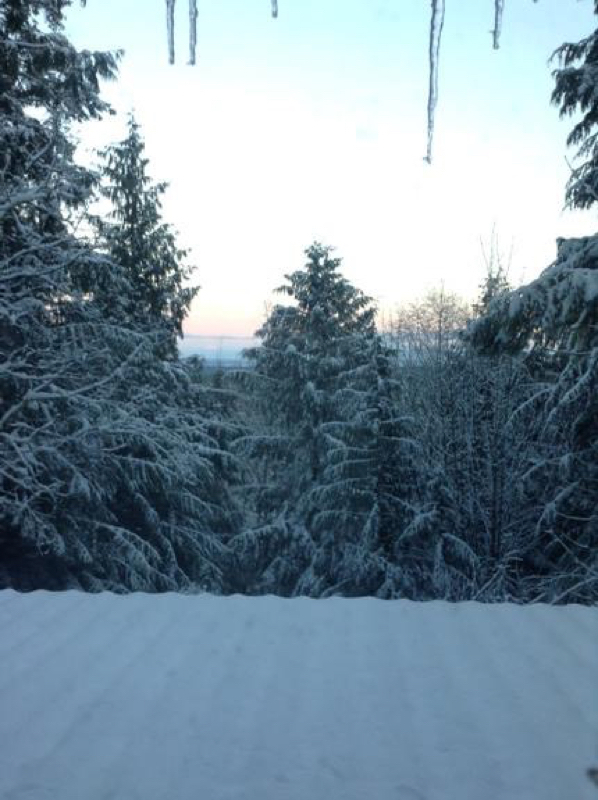 So we had a great Thanksgiving weekend that got topped off with about 4 inches of snow. The kids were super happy. 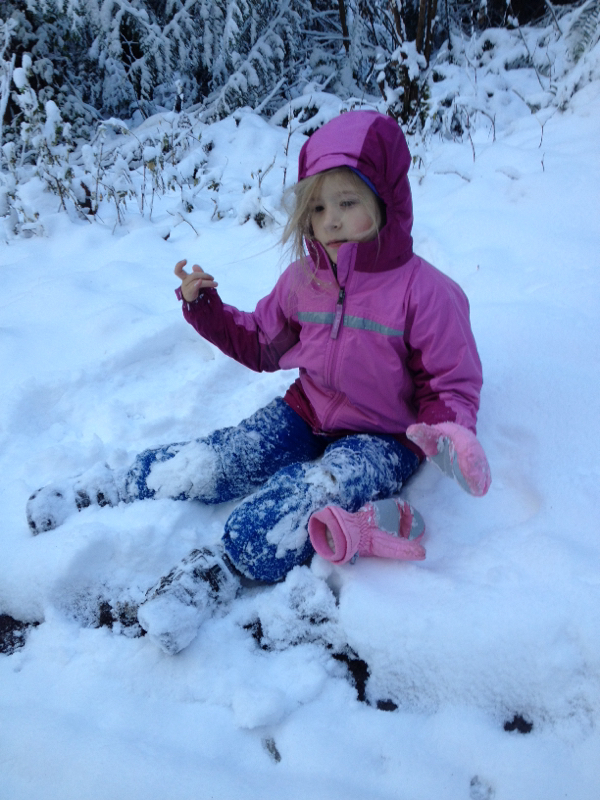 Much sledding, snowball fights, and cocoa was had by all. Plus real snow cones flavored with maple syrup. So I&apos;ve been meaning to update for ages. Here&apos;s the news for those of you interested. I&apos;ve gotten Flight back from the editor and am almost through the revision stage so I can send it back for a copy edit. At the moment the tentative release for Flight will be the end of January. I have another project in the works, but it isn&apos;t under contract yet so I can&apos;t announce it quite yet. But keep your fingers crossed that I&apos;ll have some news to announce in the next couple of weeks. Also, I have a short story called Opal and Crimson that is coming out in an anthology about assassins. This story is set in my Equilibrium universe with Silren the unicorn as the main character. As soon as they&apos;ve worked the kinks out of the files I&apos;ll announce that it&apos;s out. I&apos;ll work on being here more often. Maybe that&apos;s a good new years resolution? Hope you all have an awesome holiday season. 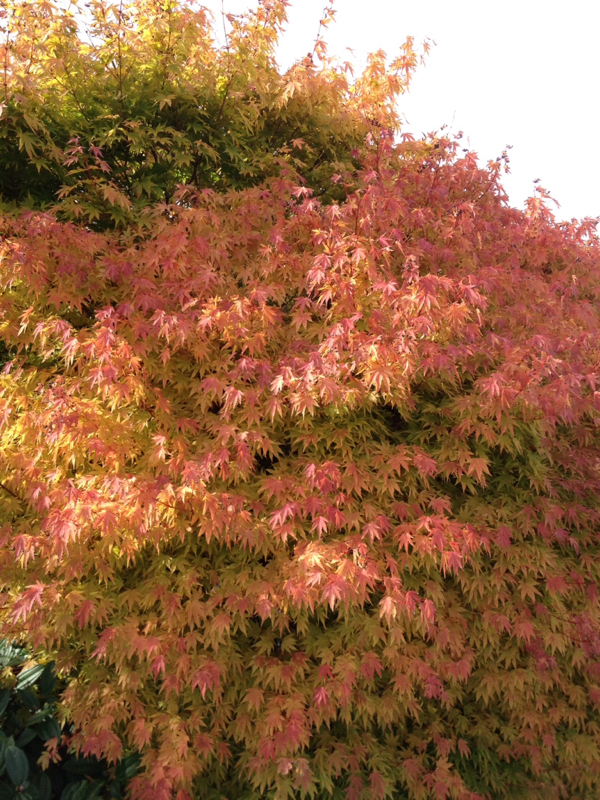 Here&apos;s a shot of some of the lovely fall foliage I saw during the first conference in Edmonds. I took it planning to make a blog post, but haven&apos;t managed to slow down enough to do it. Let's give her a warm welcome and don't forget to sign up for the rafflecopter at the end of the post! Peeking Inside My Writing Process or Where Do My Ideas Come From? Peeking inside my writing process is like stirring around in a algae-choked pond. You never know what's down there that might surface. 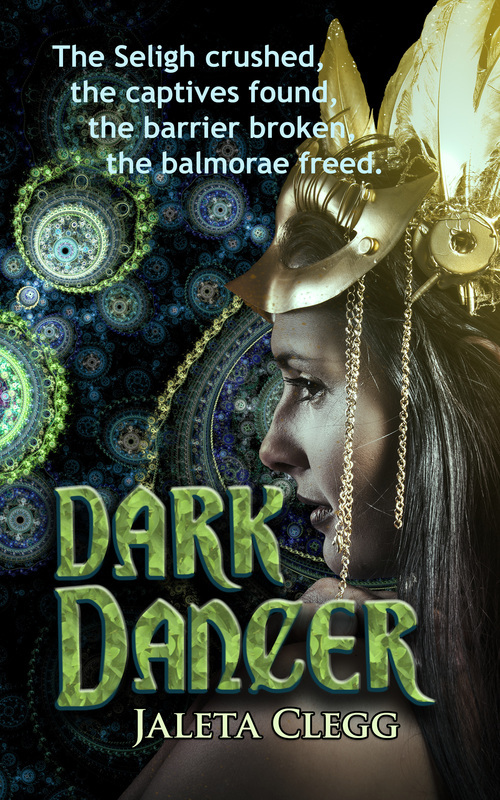 In Dark Dancer, the Summerlands are ruled by the Seligh Lords, each Archon controlling his own demesne. Let me explain where this came from and what it means. Somewhere down in the recesses of my brain, in the very deep dark dungeons, is a place where thoughts and random things are stored. They kind of ooze and jiggle and merge and do all sorts of things in that dark space that I really don't want to know about. I let my subconscious play with them because I know, eventually, something shiny and bright and new is going to float to the top. In this sludge, my teenage devouring of all things Shakespeare was having a party with all the fairy-tales and folk stories I've also read over the years. I was the devourer when it came to those kinds of books. I still read them. Add in a good dose of historical trivia, some archaic words that no one uses anymore, and a fascination with mechanical things and weird architecture, and you have the setting for my version of fairyland. The fairy world is split into three general areas. The Summerlands are where the Seligh Lords rule. This is the more typical fairyland setting, closer to Titania's court than Tinkerbell's. I even have a character based off Queen Titania who lives in a magical forest glade and revels with her forest subjects - dryads, satyrs, fauns, and the like. The other Seligh Lords have taken the magic of their land and bound it to themselves. The ruler of each demesne, an archaic form of domain that is pronounced pretty much the same way but is way cooler to write, is called an Archon. I stole that from the ancient Greek city-states. Their rulers were called Archons. The Archons use their power to bind anyone with any kind of magical gift to their demesne. That pool of power is used to create steampunk technology. So they have machines, but the power source for them is not fossil fuels or solar energy or mechanical energy, but rather magical crystals that can store the Archon's power. And yes, they have ships that fly. Because I fell in love with the idea of fairy elves flying around in wooden sailing ships. One of them is a renegade, a pirate based off Errol Flynn's Sinbad character. Because I've always had a thing for Sinbad. I hope you enjoyed this romp through my subconscious. It can sometimes be a very scary place, but for this story, it's all about adventure and romance. And flying ships powered by magic crystals and crewed by elves, not the tree-dwelling cookie bakers or the winged fairy kind, but more like Tolkein's elves. Sort of. A strange prophecy haunts the Seligh lords, rulers of the Fey and controllers of all magic in the Summerlands, a prophecy that foretells their fall. At its heart, is a young human woman with no memory of her power or potential to destroy their world. 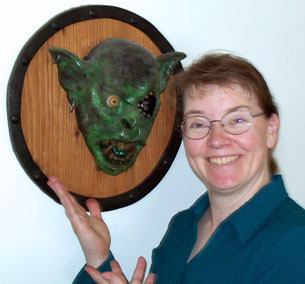 Welcome Voss Foster and the King Jester Trilogy. I love new takes on Greek gods and myths. The second book in Voss' King Jester trilogy just came out and he's started on tour. Here is a list of the schedule. Pop on by at any of the stops and see what's going on. Now read on for a looksee both past and present. In such a small space, he caught up in twenty seconds. Lou stood in front of the refrigerated section, about two yards from a woman. She wore a long, white dress, a striking contrast to the black curls flowing halfway down her back. Her skin gleamed, dark olive. She wore open-toed, leather sandals. "Well, come on, Lou." The woman looked over her shoulder, flashing blue-gray eyes and bright red lipstick. "Did you think I hadn't noticed you?" "Arachne." Lou stayed right where he was. "What are you doing here?" "Passing through." She turned all the way around. A metal spindle hung from a beaded cord around her neck. She spoke with hard H's, rasping in the back of her throat, and long vowels. English almost sounded hesitant to come off her tongue. "But I stopped when I felt some familiar energy in the area. I would have left eventually, if no one came." The story of Arachne is a story that, unlike most Greek myths, does not set up deities to be infallible and perfect. Arachne is a very skilled weaver, but she refuses to admit that any of her talent came from Athena, or any other deity, for that matter. When confronted, she challenges Athena to a contest of weaving prowess. And she bests that goddess. Not only is her tapestry better, but it depicts scenes of gods and goddesses abusing and lying to mortals. In a rage, Athena destroys Arachne's tapestry, turns her into a spider, and a curses her and her descendants to weave forever. It got me thinking, though. What would Arachne, punished by the gods, be like if she was to join their ranks? I tried to keep her playful attitude, but I also wanted to make her more aloof. After what happened to her with Athena, I wouldn't think she would be one to flaunt her own superiority. Get to know Arachne, as well as the other immortals, in The Jester Prince, Book Two of the King Jester Trilogy. With the destruction of Zirkua Fantastic, King Jester, the spirit of discord, has been unleashed once more upon the Earth. Only Toby, a fresh, untrained immortal, and the other former members of Zirkua Fantastic dare to stand against his chaos. But their hold is tenuous, and they are only truly safe from his power within the bounds of their camp. King Jester grows more powerful and more dangerous with each passing day. But he's made one mistake. That mistake could be his undoing. He's stolen Toby's soul mate, Marley. When he discovers Marley's location, Toby knows what he has to do. He will rescue Marley, even if it means he has to face King Jester alone. But the others don't let him go at it alone. Marley has information about the resistance. They can't afford to let him stay in King Jester's control. In desperation, the immortals raise an army to storm the compound. But will it be enough to challenge the embodiment of chaos himself? All they can do is hope. Hope and put their faith in love. Arachne sighed. "I can see why you'd be afraid to be around me. It's not the most friendly climate right now." She held the door open and gestured him out. "If you're anything like your parents, you should be fine." Don't tell her I'm untrained. "I just hope it won't come to that." The doors to the supermarket slid open when they stepped into the sensor's range. Toby went to the back, started loading bags with fresh produce. "We need as much citrus as we can get. And carrots, turnips. Anything that'll keep for a while." She grabbed bag after bag, loading them so full the bottoms stretched down under the weight. "Nuts. If you're not getting nuts, you really should." She pointed to the bulk bins. "They're good, high calorie food." "You talk like you've done this before." "Quite a while ago, but yes. Had to hide out and I definitely had to eat." Toby stopped. "You were human?" "At one point, yes. Before Sascha awakened me." She pulled ahead of him, started loading another bag with mixed nuts. "Of course, back then, we had a lot more direct interaction with the immortals. Not like today." She scribbled the bulk number on the twist tie, wrapped up the opening to the bag, and stuck it under her arm. "What else do we need?" "Well, Madame Zerga wants some scotch, and a few of the humans drink coffee." "All right. You get the coffee, I'll get the scotch." She smiled, eyes bright. "And maybe I can find some ouzo." Summer Fun in the Summer Sun. What an awesome summer so far. I've been meaning to post forever now but it's been a go go go kind of season. But between the first rain we've seen in weeks and a guest blog post tomorrow I wanted to prepare for, I've finally sat down to hammer this out. The Pacific Northwest has had a beautiful, warm summer. The kind where I'm out doing all sorts of things with the kiddo's. We've been to the zoo a few times. Spent two weeks camping with family. Had the most awesome birthday bash for my now 9 year old :) With more birthdayness to come as family from out of state arrives this week. This summer break has gone by way too fast, sigh. School is just around the corner along with the fall. My daughter's materials from K12 arrived so she is all set to start kindergarten. But until then we still have fun left to do. The fair is looming and hopefully a visit to friends on the other side of the mountains will work out before we have to knuckle down. I'm hoping to have the first two Cambion books ready to go at about the same time. We'll see how that works out. Some fun paranormal romance. Incubi and Succubi anyone? Tomorrow I have a guest on a book tour joining us. 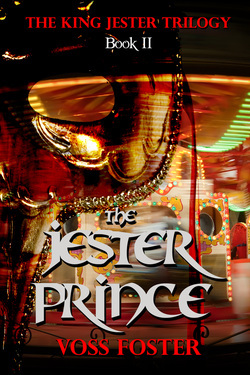 Voss Foster's The Jester prince trilogy has it's second book coming out. The Jester prince: Arachne. Check back tomorrow to learn all about it.